Download "Is your. potential? Right Strategy." 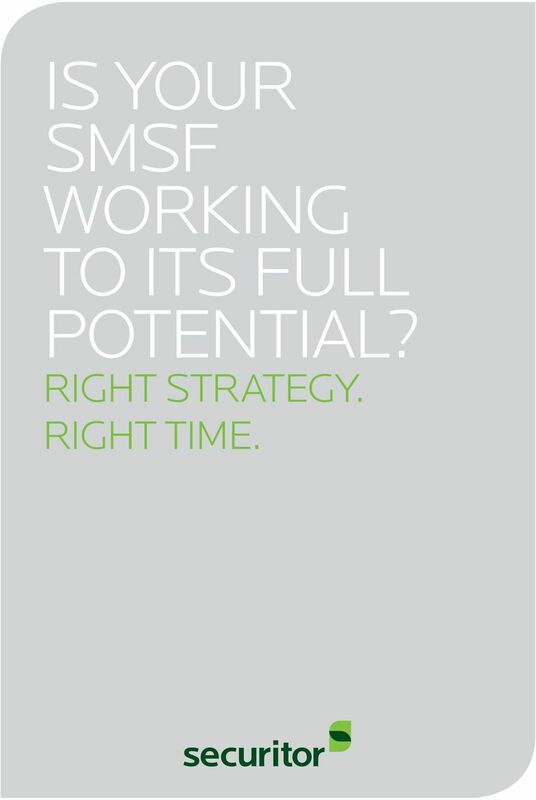 1 Is your SMSF working to its full potential? Right Strategy. Right Time. 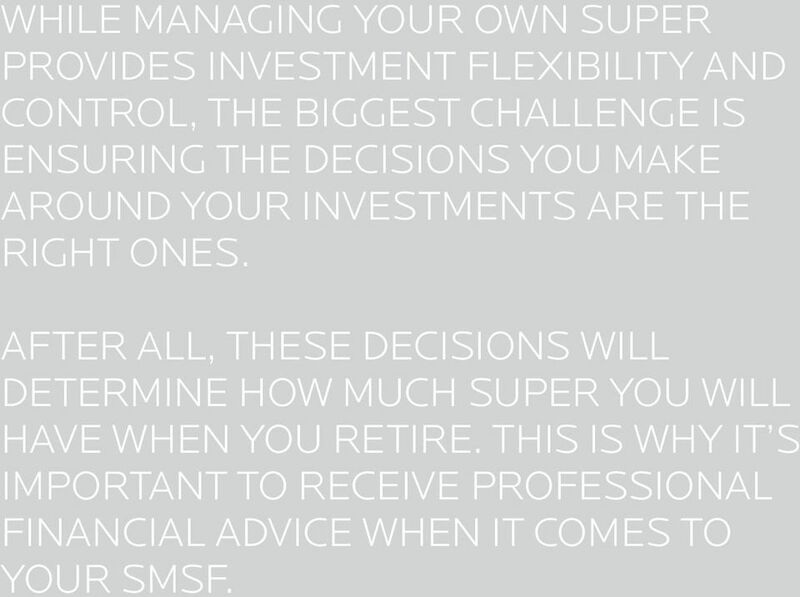 2 While managing your own super provides investment flexibility and control, the biggest challenge is ensuring the decisions you make around your investments are the right ones. 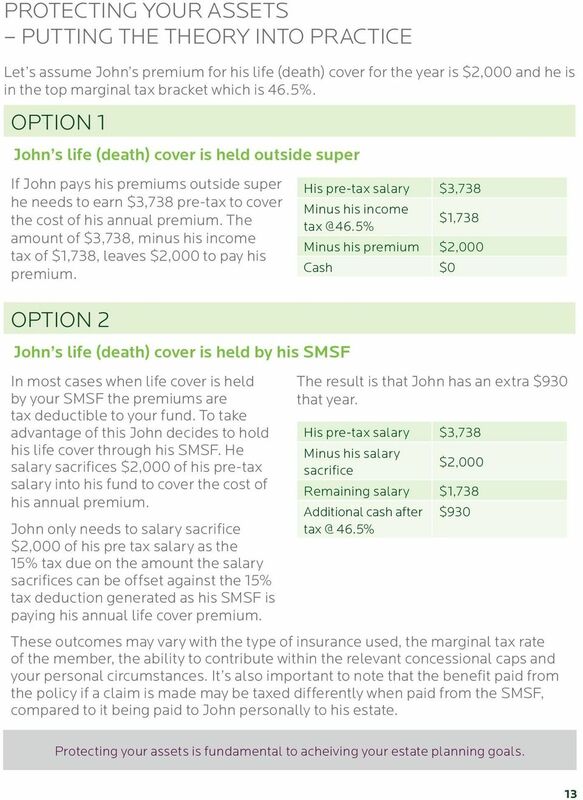 After all, these decisions will determine how much super you will have when you retire. 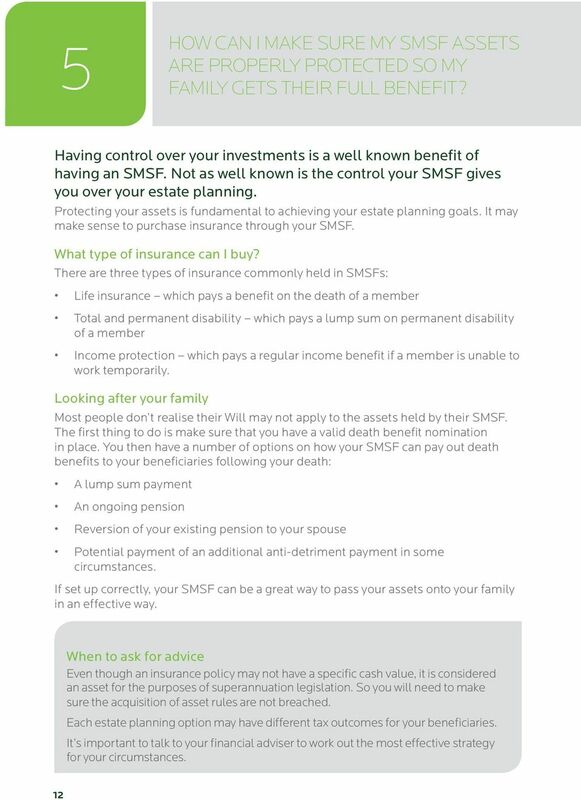 This is why it s important to receive professional financial advice when it comes to your SMSF. 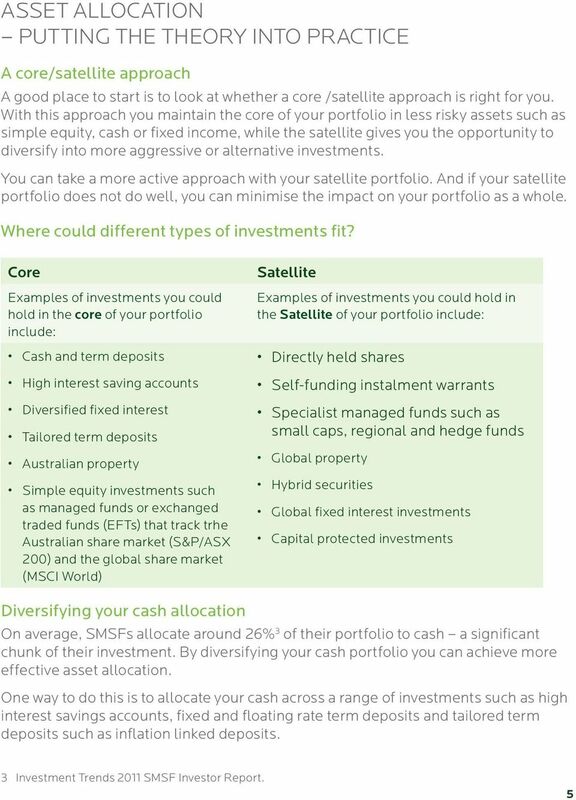 3 The Big Questions What is the right asset allocation for my SMSF portfolio? 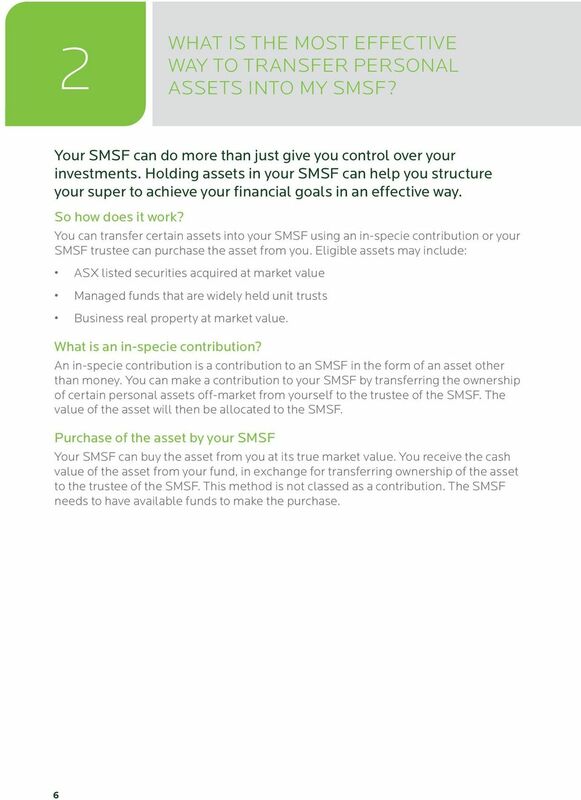 What is the most effective way to transfer personal assets into my SMSF? 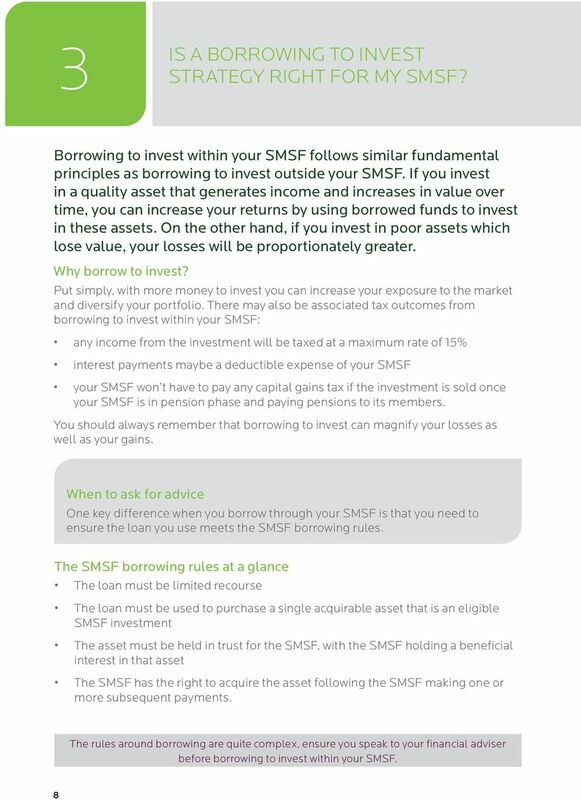 Is a borrowing to invest strategy right for my SMSF? 4 I m a small business owner. 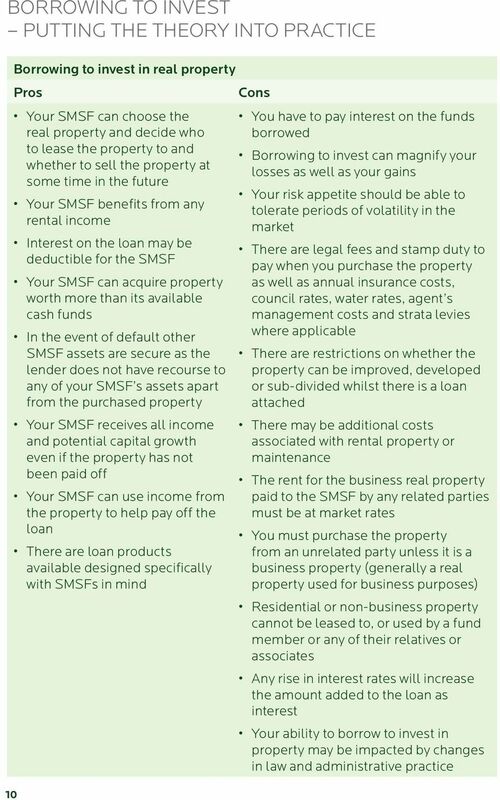 What are the benefits of holding my business property through my SMSF? 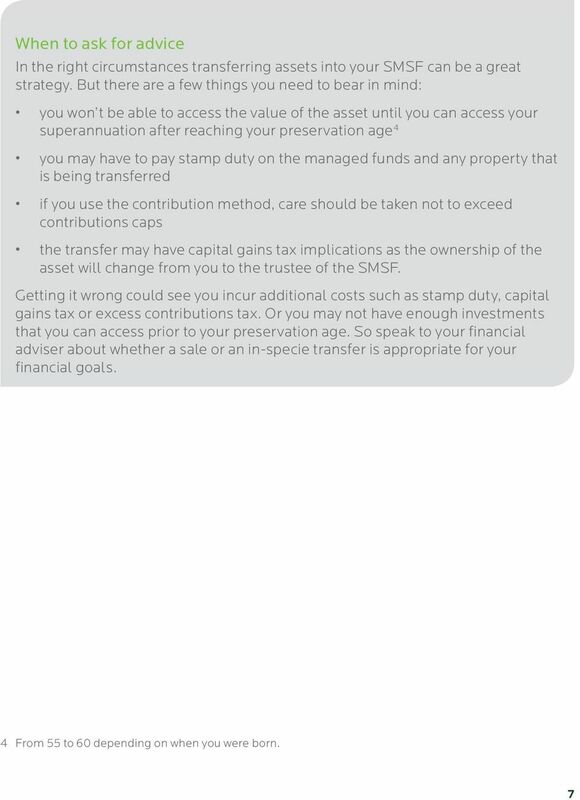 5 How can I make sure my SMSF assets are properly protected so my family gets their full benefit? 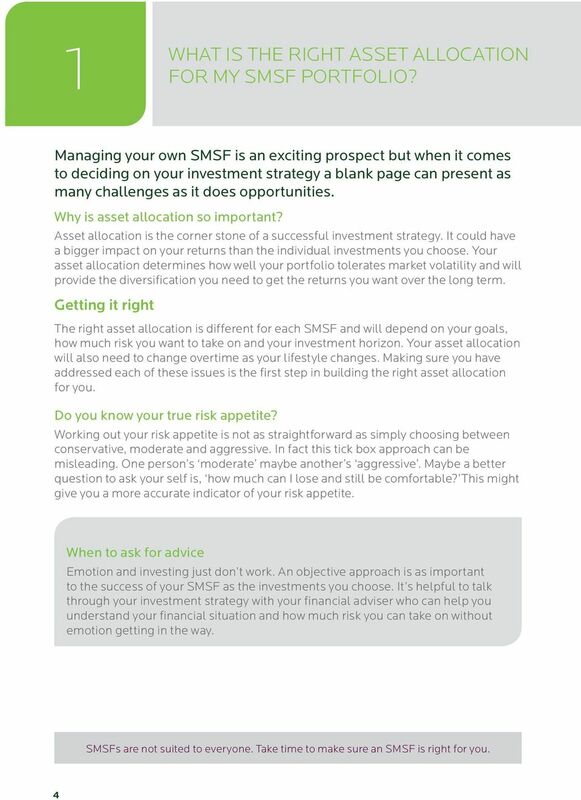 This guide takes a closer look at some of the challenges SMSF investors face and helps you decide when it makes sense to seek expert advice. 14 This page has been left blank intentionally. 15 This page has been left blank intentionally. 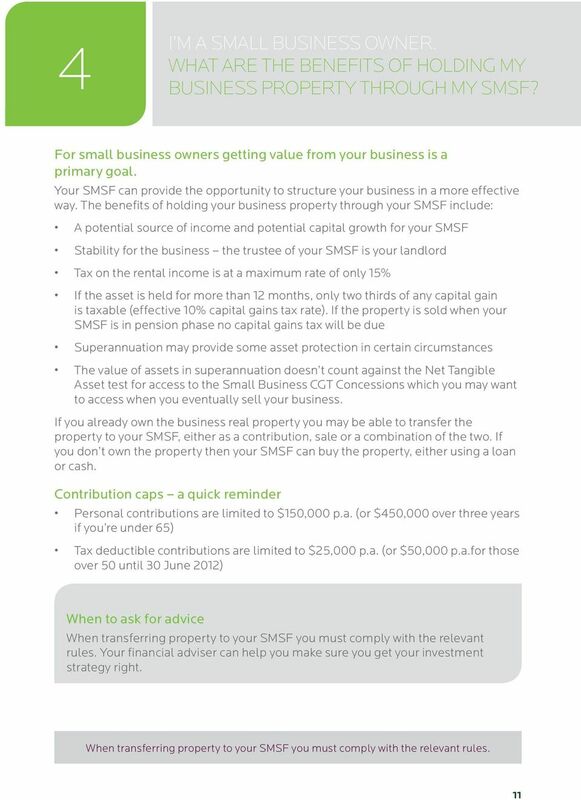 3 ways to maximise every dollar in your SMSF. Contents BT Super for Life Product Disclosure Statement (PDS) Dated 1 July 2014 1. About BT Super for Life 2 2. How super works 2 3. Benefits of investing with BT Super for Life 3 4. 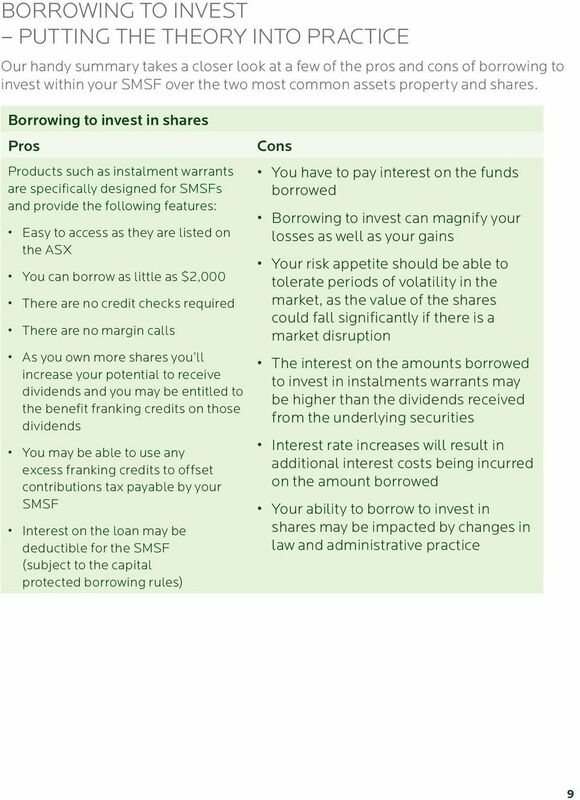 Risks of super 5 5.
borrow Want to in your SMSF? BT Lifetime. Personal Super. Contents. 1. About BT Lifetime Personal Super 2 2. How super works 2 3. 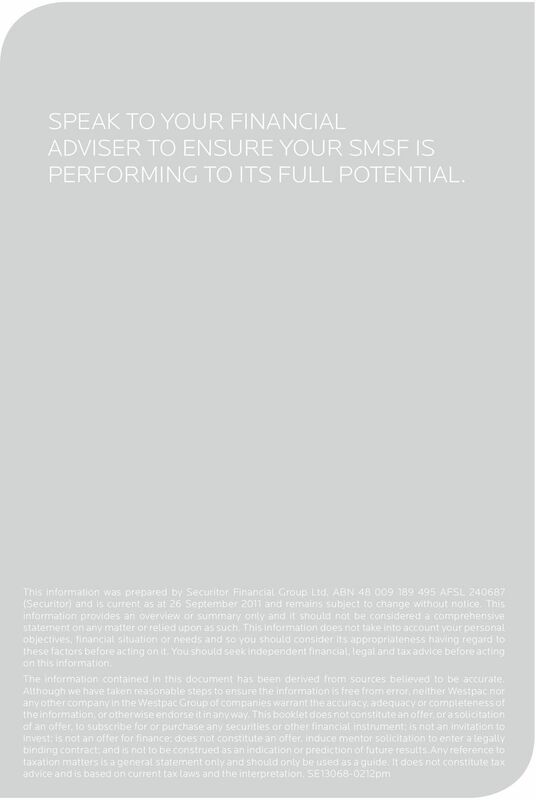 Version 4.0 Preparation Date: 2 November 2009 This document provides some additional information to help you understand the financial planning concepts discussed in the SOA in relation to business insurance. Reverse Mortgage. That s what we re here for. Financial freedom to do the things you ve always wanted. Here for good.